If you are searching for that quiet country home, here it is. Peace and serenity abound on this ranch property with 1+acres. 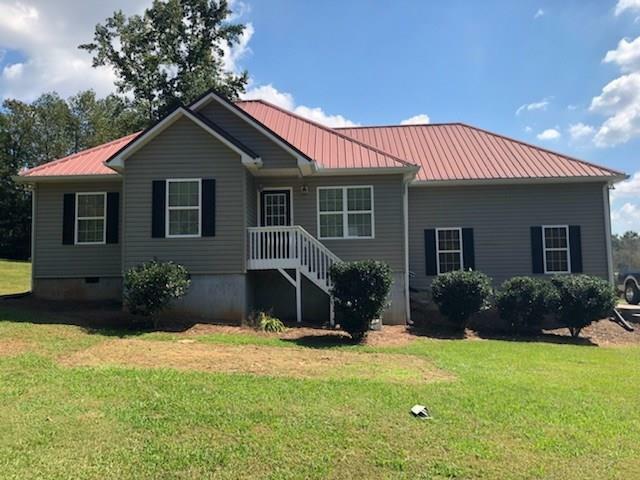 Located on a scenic gravel road between Cartersville and Adairsville. Hard to find property in this price range not in a subdivision. HVAC was replaced in 2014. The exterior has been freshly pressure washed, ready for its new owners. Tax record square footage does not include the garage renovation to living space. $10k price reduction! Seller says Sell! Fresh interior paint, blinds and carpet being cleaned will be completed this weekend.